To ward my child’s sleep against nightmares. It’s a simple very simple project that made someone a bit happier to go to sleep at night. We have a dreamcatcher and we say a spell every night before sleep to keep nightmares away. But sometimes words and talismans don’t work, so we had bring in the scents (and a new talisman). I made my daughter a “good dreams” pillow from a piece a silk from India that a friend gifted us. The pillow has a pocket with a black cat (she loves black cats) appliqué, on which my daughter now sprays every night her special essential oil mix for quiet, restful sleep. 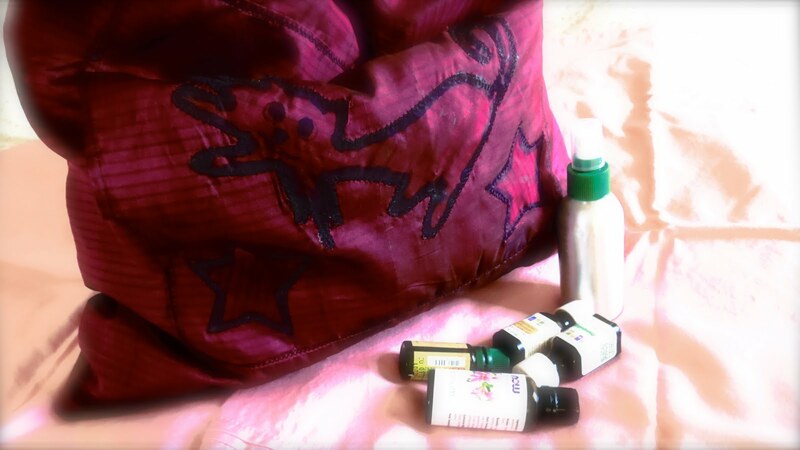 The oils I used are chamomile, lavender, bergamot, citrus and sage. We are now fully protected. Something will have to work.